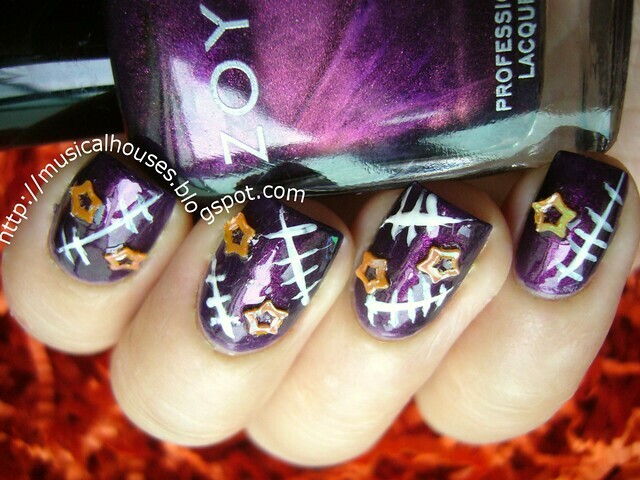 Halloween is coming up, and I just feel so inspired to do some Halloween nails! I'll be frank - the Halloween nail art that I did last year sucked, so I thought that this year, I had a lot of room for improvement. And this year, I present to you this! This year, I used the classic Halloween of purple and orange. I used Zoya Yasmeen as a base. I have to tell ya, Zoya Yasmeen is da bomb. I've done a Zoya Yasmeen NOTD back in the day waaay back when, and I still love it! I then placed these orange stars randomly on my mani, and then I added in the white scars freehand with a long nail art brush. I actually really like the overall effect, the stars over the purple add a little bit of glam, while the white scars added a little bit of an edge. 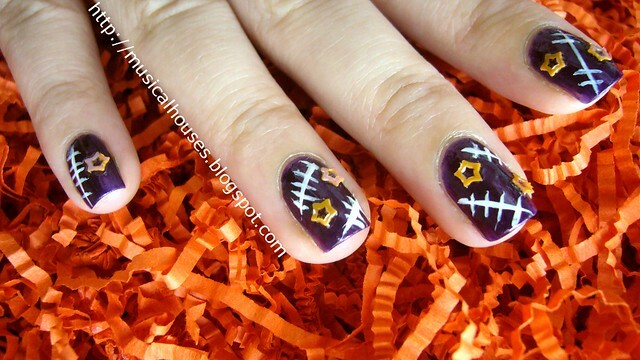 It's glam but still very much a Halloween manicure! Actually it already looked good enough with just the orange stars, but I figured out that a little edge to the nail look couldn't hurt! 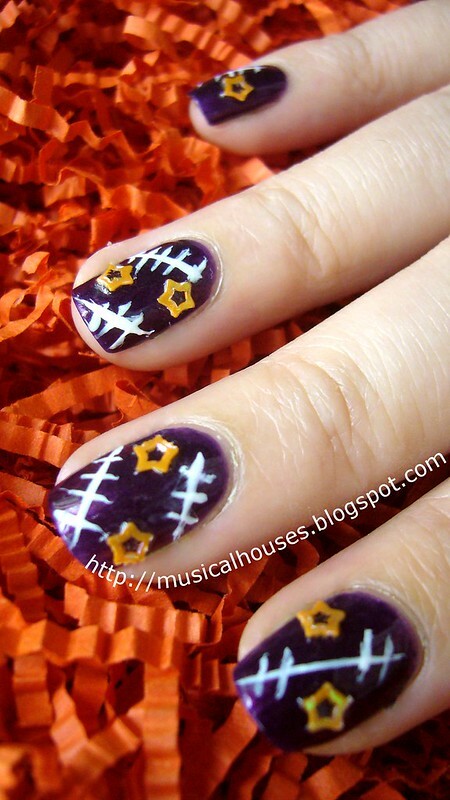 Actually, I don't really celebrate Halloween at all, but I kind of just like utilizing some of the colours for nail art just to go along with the festive mood of the season. Anyone else having fun with Halloween on your nails? Love the design and colors! OMG!! I super like the color and the design. This is perfect for this coming Halloween. By the way, is this hard to do? i want to try it out.